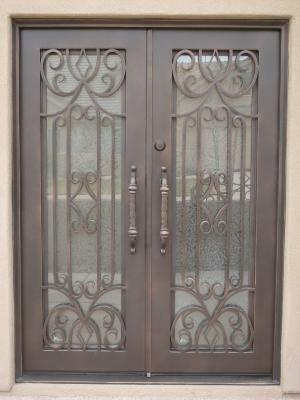 Signature Iron Doors has a whole show room full of hand crafted iron doors open to all to come and look at. If you see a door you like, we guarantee it's yours. With technicians working around the clock, our show room is always full. If you are just seeking an idea of what style you want, we can work with you to design a door tailored to you and your home. Above are just 2 of our most popular styles which we always have in stock. 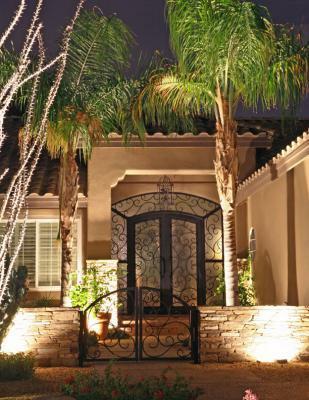 If you'd like to see more styles, visit our website and come stop by our showroom in Phoenix Arizona and discuss with a sales representative your options for obtaining the perfect iron work for you!